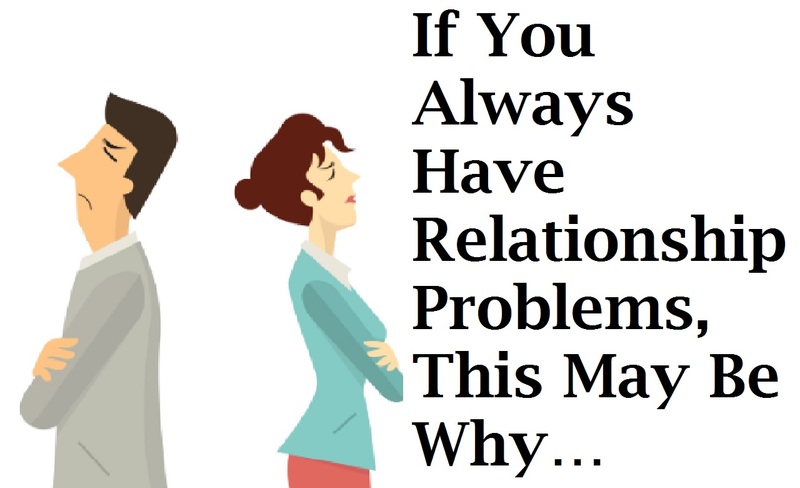 Relationship Problems and slove it! The issue, common problems of relationship gets a deep discussion on this page. There is no one who can run away from relation and relationship problems in their life. It is so natural and realistic thought that relation has to face a lot of problems. Though problems do not mean everything about the relationship or it never says that relationship only creates problems. But it is true that problem exists in all types of long and short-term relationship. There is so many kinds of relations create in our life and all of these some benefit and problem. It is Avery common and casual problem that a man when in love relationship, his beloved remain his world. He got stuck in one person. He loves to spend all his time with his beloved. He loses concern that he has other types of relationship also. And those relationships also demand him and his time, presence and concern. But he always used to spend quality time and leisure with his beloved one. His life’s center point becomes a person. In his social and personal life remain stocked in a person. Well, you cannot deny this problem. People lose their own priority form thy self in various times in case of a love relationship. He does not concern about own welfare like before he used to give. He thinks about his beloved welfare more than him. He tries to ensure faculties of his beloved. Sometimes he compromises his own taste, choice, prefer and wish. It is a kind of problem that you have to concern. Carrier has a peculiar relationship with a love relationship. Your carrier health and growth often got hampered because of a love relationship. Career growth may hamper if you happy or unhappy in a love relationship. Like, when you are happy in love relationship, your relationship and your mind want to spend more time and concern with your beloved, not carrier. And when you are unhappy in love relationship you feel bad and frustrated, depressed. So this bad mental situation also does hamper in your carrier field. Your family also often got sufferer for your love relationship’s problem. Because your behavior, priority, and person draw impact in your life and your life is greatly impacted in your family. If you are unhappy in a relationship your family also has to suffer with you. They had to suffer your negative activities and attitude. There is an economic issue in love relationship. Love relationship demands to spend money on your beloved and dating, gifting cost. So, economic pressure and the problem must arise because of a love relationship. And if your beloved is a high demanding person then the economic problem get acute. Because of the love relationship, our casual friendship relationship is greatly hampered. Before love relationship and after relationship friendship picture is quite different. Friendship does not get the same priority and space like before love relationship create. The time you spend with the friend that time you had to give your beloved. And most importantly your friends are losing their importance in your life. Many of us seek perfection from our beloved. We know that it is not possible to have all perfection and good qualities in a person. But we expect it randomly. So our beloved and sometimes we also need to act as so perfect that we are not. We wore a fake perfection mask for others happiness. It demotivates us to being as yourself. How can I disagree with this problem? Consciously and subconsciously we are controlled by our partner. We remain there under control. Sometimes they decide what we should do or don’t. That’s so ridiculed you know. Especially female partner have much tendency to control their male partner. Various love relation has to face this problem. In love relationship, two partners has formed the different family background. All times family members are not ready to accept your partner so their chance to arise a conflict between two families. There are ego and lake appreciation problems are arise often. If two partners have two different positions and if one is in high position than other so ego problems arise. And partners don’t so use to do appreciation to one another.